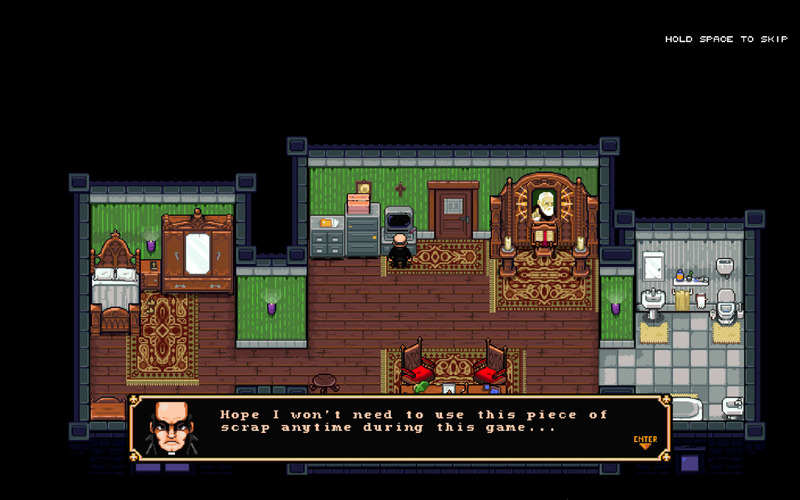 Hello all, it is time to talk about the demo of a game that is both simple and over the top scheduled for a first quarter release in 2019. 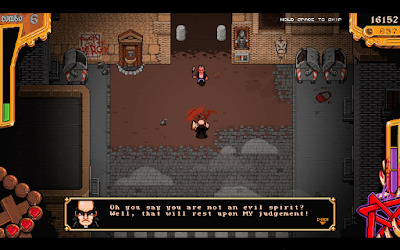 This simple looking 2D game revolves around a private exorcist named Ray Bibbia and his quest to un-possess people from demons. Does this demo impress enough to hype the full release of the game? Please click "read more" for the full review. 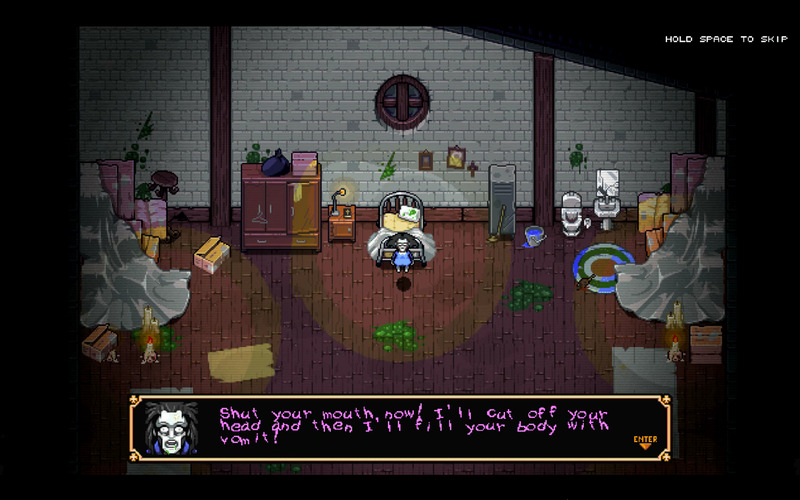 Writing in this game is very funny and intense in style. The story follows a private exorcist Ray Bibbia as he goes about the city finding people who have been possessed by demons. Ray is an inpatient person who trusts his own judgment above all. 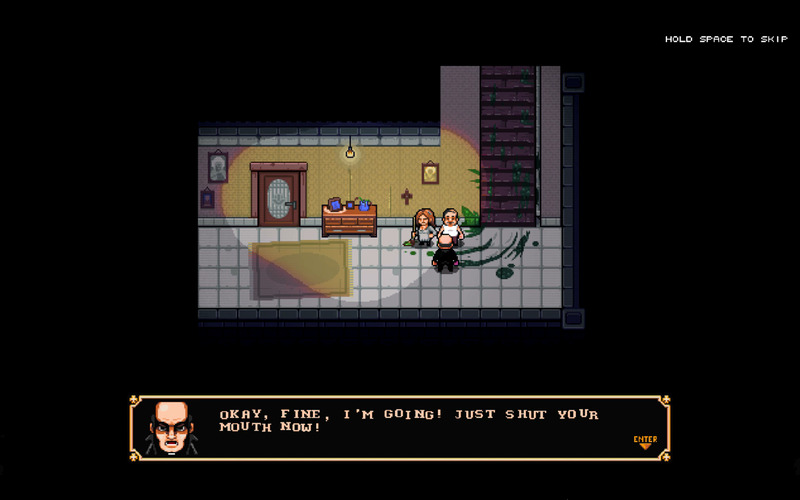 Everything starts to take bad turns when Ray receives a phone call about a possessed house maid. She has been vomiting blood and skulls so Ray was rushed in to deal with the problem. After the exorcist, it is revealed that the house maid was in fact a purchased slave from a human trafficking organization run by another demon. So, Ray begins to search for this slave selling demon. This search for the source of human trafficking eventually leads Ray to a night club. Once there, he finds another possessed person who gives a lead on the slave trade. All the demons already know who Ray is which is another mystery for him to solve. Demo ends here. This was a good place for the demo to leave off. Just as the plot was heating up it ends. While there is not much revealed of the story to comment on, what is here is a great time. 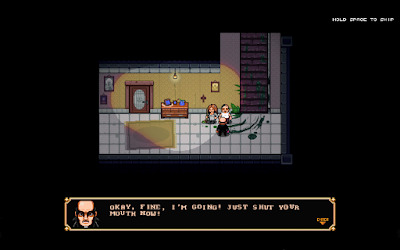 Dialogue between Ray and the people he interacts with is done in an almost parody style. Ray is not polite at all and is not shy about calling people out of their nonsense. These conversations are very amusing to read. During these conversations, subtle hints are said that could mean Ray has a bad past. There is a lot of room for character development in the full release of this game. 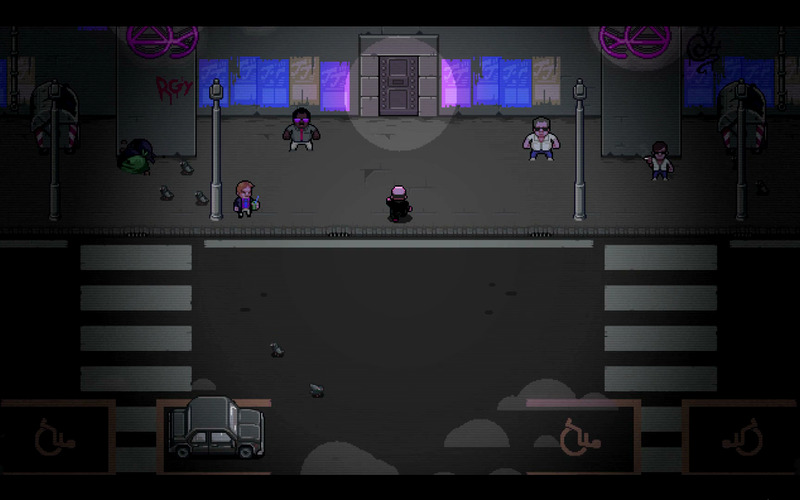 The game play is a combination of dodging bullet storms like a shoot 'em up and a speed typing game. 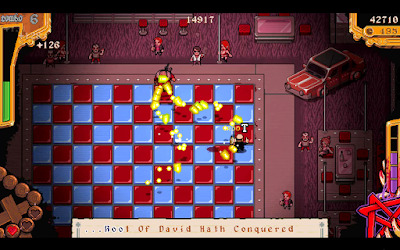 Enemies will fire waves of bullets or other explosion attacks that the player must dodge while typing the lines of text shown at the bottom of the screen at the same time. Taking a hit causes Ray to drop his book leaving him unable to fight back until it is picked back up. While the book is out of hand, taking any more hits will dissolve his life bar of 3 hits. Movement is done with the arrow keys and typing errors pushes your place in the sentences back a letter each time. These elements lead to forced multitasking and some intense gameplay. 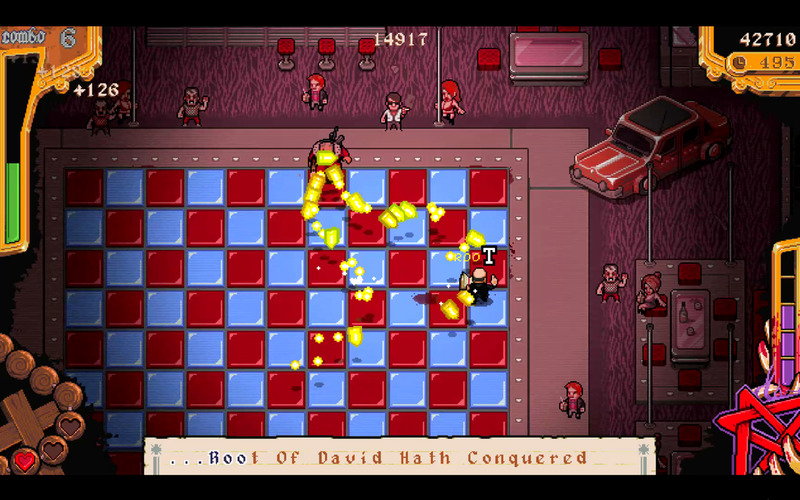 In-between battles, the player is given the chance to roam around Ray's office. While there, the player can interact with things including the journal to re-check game progress, an old computer to find information about targets, and the rest is only for a little dialog. Objects do not have an interact button like most games; rather everything has a command to be typed out like "ON" or "USE". This office is the hub for the game. Simple, yet effective. There is no voice acting in this game. The soundtrack has a lot of complexity to it. Genre's used arrange from surf rock, R&B, and industrial rock. This music is very intense and good at building suspense which fits the dark/action packed theme very well. As a whole, I found the soundtrack to be a lot of fun. However, it can be unappealing due to the use of an audio trick where the channel changes frequently to reduce the monotony of the beat. Despite this trick, the soundtrack works. 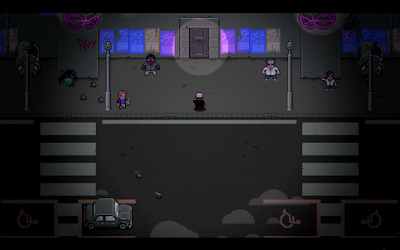 The graphics are simple and 2D. Despite that, they are well detailed and colorful. Characters give a lot of expressions and the animations are charming. The game advertises exploration, but so far it is a very linear campaign. It is possible that the full game will introduce elements, but for now there is not much to comment on. In-between exorcist targets there are some minor information gathering puzzles. Other than these simple puzzles, there is only dialogue separating battles. Not a flawed formula, just very simple. Given this was only a demo, I cannot give a final verdict. However, for what is here, this game is very good. Game play is simple but challenging and a lot of fun. The music is great, graphics are pleasant, and the story is suspenseful enough to keep my interest in wanting to know what happens next. Hopefully the full game will be able to live up to the high expectations this demo has set for me.